Much excitement elsewhere about two UK music industry award bashes this week. The Royal Philharmonic Society Awards are run 'in association with BBC Radio 3', while the Classical Brit Awards are 'supported by Classic FM radio and its sister publication Classic FM Magazine'. Both events allow the great and good of the music industry to indulge their passion for self-congratulation and rubber chicken while boosting radio audiences. One of the categories for the BBC supported RPS Awards is 'Creative Communication', which includes books. 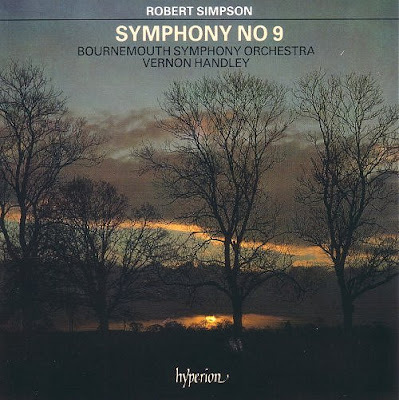 That great composer, musicologist and BBC producer Robert Simpson, whose Ninth Symphony features on the CD seen above, wrote a very important book in 1980. The Proms & Natural Justice was highly critical of the BBC's music programming policies. It was an influential book that was admired by many, including long-time BBC employee Sir Adrian Boult, who provided the foreword. 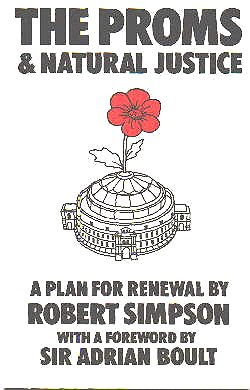 Let's imagine for a moment that Robert Simpson's book had been published in 2009. Would anyone like to speculate on its chances of being nominated for an RPS award? Those Simpsons are cult classics.